examples of current technological advances, contemporary thinking on reflective practice, and insights gained from recent research. This wide-ranging and international collection of chapters has been written by leading experts in the field. 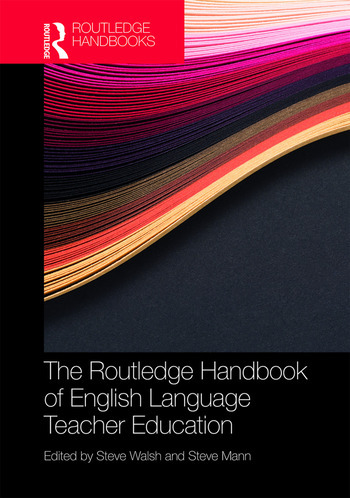 The Routledge Handbook of English Language Teacher Education is sure to be core reading for students, researchers and educators in Applied Linguistics, TESOL and Language Education. Chapter 1: What counts as knowledge in English Language Teaching? Chapter 5: Critical language teacher education? Steve Walsh is Professor of Applied Linguistics in the School of Education, Communication and Language Sciences, Newcastle University, UK and visiting professor at Hong Kong University. He has been involved in English Language Teaching and teacher education for more than 30 years in a range of overseas contexts. His research interests include classroom discourse, teacher development and second language teacher education. Steve Mann (Associate Professor) currently works at the Centre for Applied Linguistics at the University of Warwick. He has experience in Hong Kong, Japan and Europe in both English language teaching and teacher development. Steve supervises a research group of PhD students who are investigating teachers’ education and development.